I recently dislocated my right shoulder and not surprisingly this experience has caused me to reflect on the nature of pain. In this post I will use my own experience coupled with a thought experiment to argue for two distinct types of pain: reflective pain and nonreflective pain. Having spelled out this distinction, I will raise some difficult questions about their respective moral significance. If you are right-handed like myself, a dislocated right shoulder is an example of an injury that occasions reflective pain par excellence. In essence, reflective pain is pain that interferes with your day-to-day functioning by causing you to consciously reflect on it more than normal. Everything is now harder and more painfully deliberate to do e.g. taking a shower, putting on clothes, hugging my wife, wearing a backpack, opening a beer, etc. The thousands of micro-tasks I typically used my dominant hand for in coordination with my non-dominant left now must be performed awkwardly with my left hand alone in order to minimize pain in my right shoulder. This has halted my daily productivity significantly. For example, as a grad student and denizen of the 21st century, I spend much of my time on a laptop. It’s amazingly slow to type with only your left hand on a QWERTY keyboard. You actually type significantly less than half of normal speed because you have less fingers but you also have to stretch your fingers more to reach across the whole keyboard. This has made day-to-day academic housekeeping and research painfully tedious in a literal sense. Thus, the salient feature of reflective pain is that you can’t help but reflect on it because throughout the day you are continually reminded of your injury every time you go to do something that you previously would have done without hesitation. Now every motor intention is tentative and the perception of thousands of lost affordances is palpable. Reflective pain intrudes and interferes with your thought processes because you are acutely aware of the bodily powers you have lost and the pain that has replaced them. Nonreflective pain is quite different from reflective pain. Imagine you are walking across a desert keenly intent on getting to the other side. It’s sweltering hot so you expose your back to the air. In so doing you introspectively notice a pain sensation localized to a patch of skin on your back. You can’t remember how long that pain sensation as been there. The pain isn’t screamingly intense nor does it burn or throb. It’s more like a light tingle or steady buzz. It doesn’t itch and you feel no compulsion to reach behind you and scratch or rub it. In fact, the pain seems to be minimized by simply leaving it alone. The pain is localized such that the movement of your muscles and skin across your skeleton doesn’t exacerbate the pain. In fact the pain doesn’t interfere with your walking at all. The pain doesn’t necessarily command your full attention and often when you are absorbed in watching out for rattlesnakes or walking across tough terrain you entirely forget the pain is there. It’s only when you get on flat easy ground again and your mind begins to wander that you can notice the pain, buzzing with the same steadiness as always. As you walk you begin to use the pain as a source of introspective entertainment. The pain becomes more of an interesting sensation to play with than a genuine nuisance. The pain is neither pleasant nor unpleasant. It’s simply there. You can choose to attend to it or not. You can describe the sensation and localize it to a particular patch of skin, but you don’t mind the sensation; it doesn’t bother you. In fact you have grown to like it because it gives you something to reflect on as you walk mindlessly across the desert. What’s interesting about the pain is when you are not reflecting at all but entirely in the flow of walking the pain is not consciously noticed at all. There is seemingly no conscious awareness of the pain as you are absorbed in walking. There is only the ground before you and your movements. But even if you don’t consciously attend to the pain the pain is there nonetheless (presumably). It’s a steady sensation, but it seems then that not all sensations are necessarily conscious. This is what David Rosenthal might call “nonconscious qualia”. If you didn’t introspect and reflect on the pain sensation, it’s hard to imagine it interfering with your cognitive functioning except at the grossest level of physiological nociception. Now that I’ve distinguished these two types of pain, I want to ask a series of rhetorical questions. Do animals have reflective pains or are all their pains nonreflective? If so, which animals have reflective pain? All of them, or only the super-intelligent animals like apes, dolphins, and elephants? What about fish, insects, rats and cats? What is the evolutionary function of reflective pain, if it even has one? Is nonreflective pain just as morally significant as reflective pain? 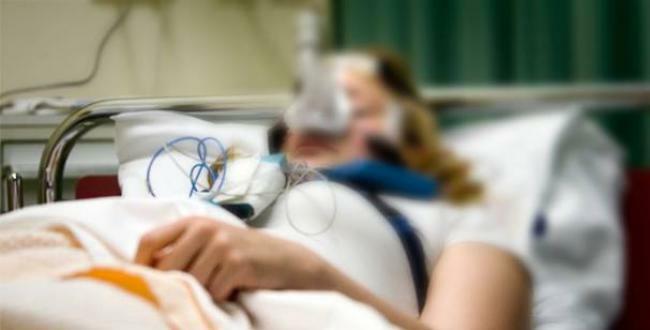 If we knew that a vegetative state patient had nonreflective pain, are clinicians obligated to give them pain medication? Perhaps these are bad questions because the distinction is a false dichotomy, or conceptually or empirically mistaken. Maybe it’s a matter of degree. But it seems intuitive to me that there is something morally distinctive about the type of pains that cause us suffering and anguish on account of our reflecting on them and not just in virtue of the first-order sensory “painfulness” of them. I don’t mean to suggest that first-order painfulness has no moral significance but it seems to me that it should be weighted differently in a utilitarian calculus. 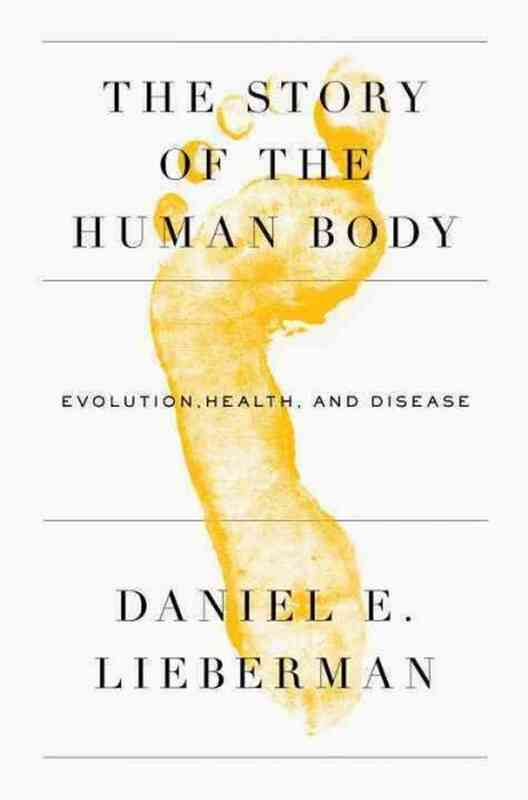 In The Story of the Human Body Daniel Lieberman builds a strong case that making fully informed decisions about diet and lifestyle is only possible through the lens of evolutionary history. If you want to know where your body comes from, you need to understand its evolutionary history. Why do humans stand and walk on two legs? Why are we weak compared to other primates of comparable size? Why are our legs and feet shaped the way they are, with springy tendons and arched feet? Why does our spine have a special S-curve? The answer to these questions lies in the the evolutionary history of our species. Now ask, why do people in modern societies suffer from “diseases of affluence” like obesity, type-2 diabetes, tooth decay, metabolic syndrome, flat feet, nearsightedness, lower back pain, and sleep disorders? Daniel Lieberman argues that these questions can only be fully answered by understanding the evolutionary history of our species. Lieberman argues these diseases are examples of “mismatch diseases” i.e. a disease that is primarily caused by our bodies not being sufficiently adapted to novel gene-environment contexts. We know they’re mismatch diseases primarily because they used to be rare, are largely preventable, and are almost unheard of in hunter-gatherer populations. Lieberman argues that all of these diseases are in some sense a result of cultural evolution speeding ahead of natural evolution with the result that have humans manufactured a psychologically comfy and satisfying environment that is paradoxically unhealthy without fundamentally affecting our reproductive fitness. Lieberman calls this this paradoxical unhealthiness “dysevolution”. It turns out that surrounding ourselves with unlimited sources of cheap junk food is a bad idea because humans are genetically wired to crave food with dense amounts of fat, sugar, starch, and salt. Lieberman is no luddite, and certainly doesn’t advocate a return to the caves and giving up on modern science and technology. His position is more nuanced than many of the extreme black and white positions out there, as befitting the complexity of gene-environment interaction. In many senses, the agricultural and industrial revolutions have propelled humans to new heights of health and longevity, with modern science curing diseases and fixing people better than ever before. At the same time, we are living longer but spending many of those years suffering from chronic, preventable diseases. The paradox of the modern world is reduced mortality but greater morbidity i.e. living longer, but spending more of those extra years with an illness of some sort. Lieberman argues that too often the incentives of modern medicine aim at fixing symptoms but not the underlying structural causes: the toxically comfortable environments we built for ourselves. Ok everyone, here’s a paper I’m really excited about. The topic is so “me” — the first project I’ve wholeheartedly thrown myself into since since I came to Wash U. I can see myself wanting to write a dissertation or book on the topic so this paper will likely serve as the basis for a prospectus in the near future. The issue I’m dealing with in the paper is situated at the intersection of a variety of fields ranging from philosophy of mind, philosophy of science, cutting edge neuroscience, clinical neurology and biomedical ethics. I could conceivably “sell” the project to a variety of people. The project is obviously at an early stage of development and the paper is drafty but I have the rest of the semester to work on this so I’m open to any comments, criticisms, or questions. Thanks! The standard approach in clinical neurology is to diagnose disorders of consciousness (DOC) on the basis of operationally defined behaviors. Critics of the standard approach argue that it relies on a flawed behaviorist epistemology that methodologically rules out the possibility of covert consciousness existing independently of any observable behavior or overt report. Furthermore, critics point to developments in neuroimaging that use fMRI to “actively probe” for consciousness in unresponsive patients using mental imagery tasks (Owen et al. 2006). Critics argue these studies showcase the limitations of the standard approach. The goal of this paper is to defend the standard approach against these objections. My defense comes in two parts: negative and positive. Negatively, I argue that these new “active probe” techniques are inconclusive as demonstrations of consciousness. Positively, I reinterpret these active probes in behavioral terms by arguing they are instances of “brain behaviors”, and thus not counterexamples to the standard approach.